Home Entertainment Handsome Actor Lee Dong-wook and His Family, Does He Have a Wife? Not much information is known about Lee Dong-wook’s family because the actor rarely mentions it. However, the public is aware that Lee Dong-wook is the oldest of four siblings, who come from a middle-class background, and has been supporting his family financially since his debut while still in high school. Additionally, Lee Dong-wook’s younger sister has followed in her brother’s footsteps and ventured into the entertainment industry. In SBS’ Roommate, Lee Dong-wook’s sister declared that he is a hardworking and dependable oldest son of the family. Who is Lee Dong-wook’s Wife? Up to the point of this article being written, Lee Dong-wook is known to be an eligible bachelor in his late 30s. However, the actor has given out some clues about the ideal character traits and physic that he is looking for in a woman. In an interview, Lee Dong-wook picked pelvic lines as his preferred body on women, whereas during his fan meeting for 4 My Dear, that was held on 12 March 2018 in Seoul, he said that he likes a woman who eats well, has a wise personality and is able to have a good conversation with him. In a joking manner, Lee Dong-wook added that just like any typical men, he as well likes beautiful women. 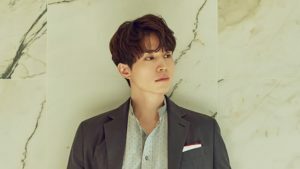 Notwithstanding the fact that he is unmarried, Lee Dong-wook has been involved in several dating rumors involving female celebrities. The first woman, who has been rumored to be Lee Dong-wook’s girlfriend, is none other than his co-star in the dramas My Girl and Hotel King, actress Lee Da-hae. Many fans are hoping that the drama pairing will turn to be a couple in reality as well, seeing as they have irrefutable chemistry in the drama. Similarly, Lee Dong-wook added that her and Lee Da-hae chemistry is even perfected. In August 2014, Lee Da-hae was asked, by a Section TV reporter, what does she think of the fact that lots of Hotel King viewers want a love line between her and Lee Dong-wook in real life. Lee Da-hae responded that she and Lee Dong-wook, if in a relationship, will probably be endlessly fighting each other: “Let’s just say that we simply have a very deep friendship.” Even though she has affirmed her friendship with Lee Dong-wook, the actress ambiguously said that friendship between a man and a woman could be unexpected, which further raised the fans’ hope about the possibility of them dating in real life. The second female star, involved in a dating rumor with Lee Dong-wook, is actress Yoo In Na. They played together in the mega-hit drama Guardian: The Lonely and Great God, as a long-lost couple Wang Yeo/Grim Reaper and Kim Sun/Sunny, in both the past and the present. Even though they hadn’t filmed together before, and their relationship was depicting an awkward acquaintance, Lee Dong-wook and Yoo In -n still had great chemistry in the drama. In 2018, it was reported that the reincarnation couple will reunite as the lead stars in the upcoming tvN drama Touch Your Heart. The drama is said to be directed by the director of What’s Wrong With Secretary Kim, Park Joon-hwa. Based on a web novel, Touch Your Heart tells the story of Oh Jin-shim, an actress whose career goes down the drain after a dating scandal with a conglomerate comes to light. Turning around her destiny, Jin-shim starts working as a secretary for Kwon Jung-rok, a cold-hearted detective of a top lawyer firm. Aren’t you excited about Lee Dong-wook and Yoo In Na’s on-screen chemistry coming back, dear readers? Finally, the last female celebrity, whom Lee Dong-wook has been reported to have a relationship with, is a former Miss A member, Suzy. Their surprising relationship was announced in March 2018 which is also marked as Lee Dong-wook’s first public relationship since his debut in 1999. Lee Dong-wook and Suzy were spotted going on a date in Cheongdam-dong. The eyewitness claimed that Lee Dong-wook was taking care of Suzy, indicating that they are a couple. A close friend of both stars has said that before their scandal broke out to the public, they were actually merely in “some” stage of the relationship as they were frequently spotted hanging out together in public, going at a café, and other places. However, only after their relationship had become known to the public, Lee Dong-wook and Suzy decided to start dating officially. On the other hand, their respective agencies have also confirmed the news. Many netizens are unsatisfied with Lee Dong-wook and Suzy’s relationship because of their 13-year gap. Moreover, they discovered that Suzy had picked Lee Dong-wook as her ideal type ever since her debut with Miss A in 2010. In SBS’ Strong Heart, Suzy drew a caricature of Lee Dong-wook and gave it to the actor as a gift. Moreover, Suzy mentioned the actor’s name when she appeared with Yoo In-na in KBS’ Win Win. This was to surprise IU because she had said that Lee Dong-wook has chosen her (IU) as his ideal type and Suzy is jealous about it. Lol, what a silly friendship! Unfortunately, Lee Dong-wook and Suzy decided to break up in July because of their busy schedules. Well, we wish Lee Dong-wook will soon find his beloved one!